As Nielsen sat silent, the demonstrators shouted "If kids don't eat in peace, you don't eat in peace!" Protesters chanting "Shame!" 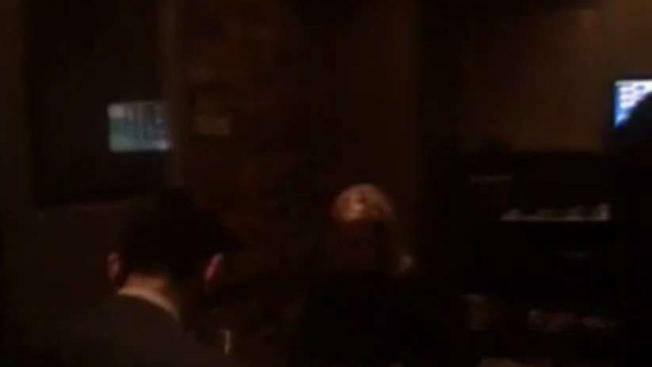 disrupted U.S. Department of Homeland Security Secretary Kirstjen Nielsen's meal at a Mexican restaurant Tuesday night in Washington, D.C.
Video shows more than a dozen protesters standing near Nielsen's table at MXDC Cocina Mexicana, two blocks east of the White House. As Nielsen sat silent, the demonstrators shouted "If kids don't eat in peace, you don't eat in peace!" and "End family separation," among other slogans. The Metro D.C. Democratic Socialists of America posted a 10-minute video to Facebook showing the demonstration. The group was protesting the Trump administration's zero tolerance policy toward people who enter the U.S. illegally. Since the policy was announced in May, thousands of children have been separated from their parents and held by the government. Protesters disrupted Department of Homeland Security Secretary Kirstjen Nielsen's meal at a Mexican restaurant in Washington, D.C., while chanting "shame" and "no human being is illegal." The video shows Nielsen flanked by security detail and dining as protesters enter. The video does not show her respond to the protesters. Another video, posted on Twitter by Osita Nwanevu, shows Nielsen exiting the restaurant and heading into an SUV. Two officers were captured on video speaking to protesters outside the restaurant. "We got a call that all these people were surrounding someone inside a restaurant," an officer wearing a Secret Service uniform said. The Secret Service confirmed they responded to a restaurant and said no arrests were made. Tyler Q. Houlton, a Department of Homeland Security spokesman, acknowledged the protesters and said Nielsen is looking for solutions to the crisis on the southern border. 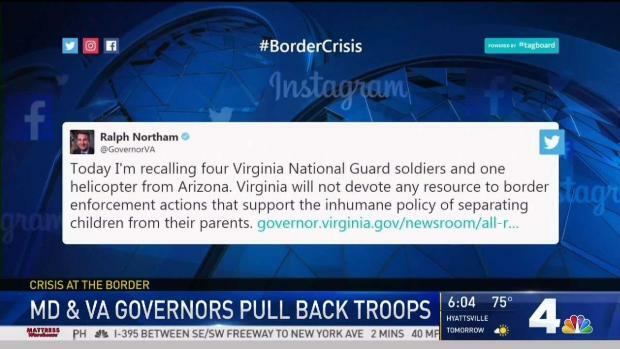 "The Secretary encourages all — including this group — who want to see an immigration system that works, that contributes to our economy, that protects our security, and that reflects our values to reach out to Member of Congress and seek their support to close the terrible immigration loopholes that have made our system a mess," Houlton said in a statement. President Donald Trump later tweeted, commending Nielsen for a press conference on Monday where she defended the zero tolerance policy. Nielsen "did a fabulous job yesterday at the press conference explaining security at the border and for our county," Trump said. He didn't reference the restaurant protest. The Metro D.C. Democratic Socialists defended their disruption in a statement on Facebook. "We will not stand by and let Secretary Nielsen dine in peace, while she is directing her employees to tear little girls away from their mothers and crying boys away from their fathers at our border,” read the statement from Margaret McLaughlin, a member of the Metro DC Democratic Socialists of America steering committee. The restaurant declined to comment. Other protests over the zero tolerance policy broke out across the country on Tuesday. A crowd protesting the separation of immigrant children at the border greeted Vice President Mike Pence with boos and drumbeats as his caravan arrived at an upstate New York Republican fundraiser. Hundreds of protesters also streamed into a Philadelphia park across from a hotel where Pence was scheduled to speak. Organizers arranged about 50 pairs of children's shoes into the word "No" on the grass facing the hotel. Hundreds of demonstrators gathered outside the offices of the Immigration and Customs Enforcement in San Francisco, banging drums and chanting "Stop taking children!" and "The people are rising, no more compromising!" About 500 protesters in Manhattan marched to an immigrant detention center from Union Square, the Daily News reported.